Aerohive Networks provides innovative WiFi solution, including a portfolio of the latest 802.11ac Wave 2 Access Points, switches, and branch routers, all managed easily through a cloud-based management system that’s available as a secure public or private cloud option. The foundation of this solution is the Aerohive Cloud Services Platform, which uses a big data back-end and interfaces to provide insights into WiFi data such as connected users, applications being used, types of devices, identity, location and presence. 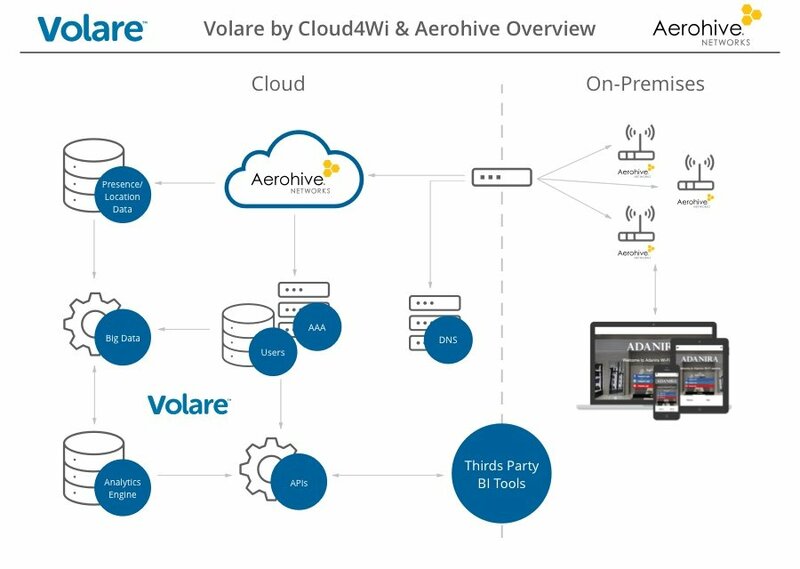 What can an integrated Cloud4Wi and Aerohive Networks WiFi solution offer? The integrated Cloud4Wi and Aerohive Networks solution allows businesses to access a comprehensive set of features that deliver unique customer experiences and create additional value on top of guest WiFi. Want to discover more on how Cloud4Wi and Aerohive Networks can boost your business?